Plane Parking Alicante Airport parking & Murcia Airport parking | Plane Parking S.L. 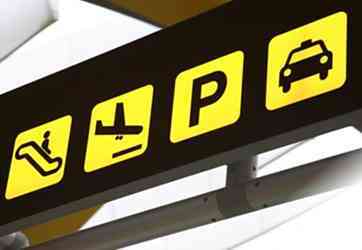 The Costa's Number 1 Airport parking specialist providing parking facilities at both Alicante and Murcia Airports. Plane Parking is a professional and secure airport parking company based at Alicante & Murcia (Corvera) Airports, catering for both short term and long term clients. Both of our facilities have a full alarm and CCTV system installed and are fully insured which gives you total peace of mind 24 hours a day, 365 days a year. Plane Parking is located directly in front of Alicante Airport and less than 2 minutes from Murcia (Corvera) Airport. At Alicante and Murcia (Corvera) we provide you with a `meet and greet´ service outside the airport. All vehicles receive a complimentary external clean on return. Having facilities at both airports gives you total flexibility with your travel arrangements. You can leave your vehicle at Alicante Airport and then fly back to Murcia Airport or vice versa and have your vehicle waiting for you. We currently have over 50,000 square metres of secure airport parking. We offer a full range of extra services, so let us take the pressure off you. If your car needs an ITV, service, valet, body work repair, or any work at all, we can do it for you. We work with a wide range of qualified engineers and mechanics, so whatever the job, give us a call and we will be only too happy to arrange it for you. Secure airport parking starts from as little as €0.82 per day based on the length of time you use our facilities. To make a reservation you can complete our online booking form, email us or call us on (0034) 966 840 289 to make your reservation. No more relying on friends or relatives and no delays. Contact us today. Pre-book your airport parking today with the Alicante and San Javier Murcia parking specialists! 24hr secure parking. Full alarm and CCTV system installed at both facilities which allows us to be fully insured!